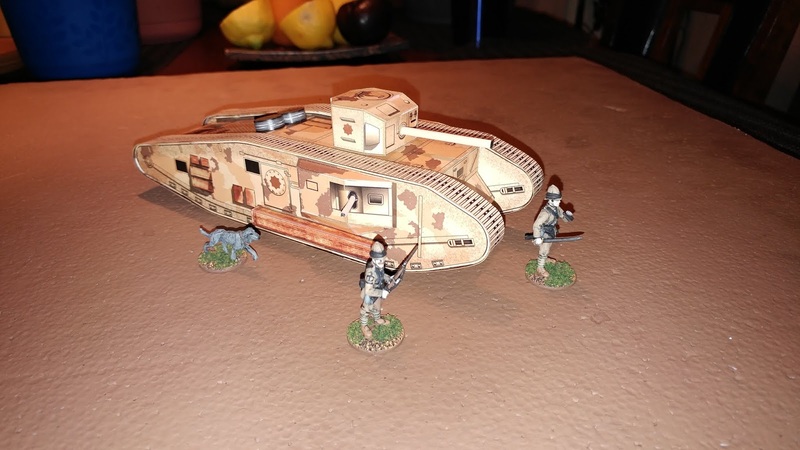 Here is today's papercraft project, the tank from "Indiana Jones And The Last Crusade." It was originally 1/87 (HO) scale, but I resized it on the computer to 1/55 scale to match the size of my 28mm British colonial models for some Victorian Science-Fiction action. 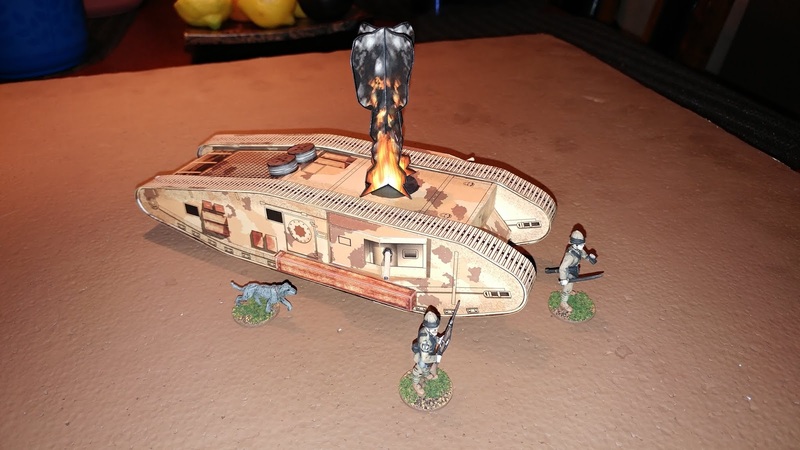 I also created an "exploded" marker to replace the turret in case it gets taken out of action in a game. Great project! Where did you find the original? Cool ! I got a smaller version from Micromachines, IIRC ! I've seen a lot of your projects. You are an excellent papercraft modeller!